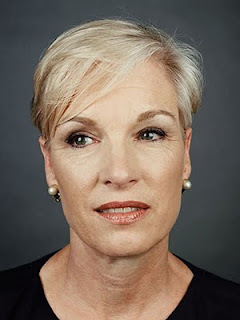 America's worldly media is abuzz this week that Time Magazine has included Cecile Richards, head of evil Planned Parenthood in their top 100 most influential people list. For all the glamour, glitz and fanfare it seems like a real badge of honor for the "proud mother of three." As Time notes, "To watch Planned Parenthood's Cecile Richards at work is to see a portrait of grace, intellect and determination. Her family believes that public service is a noble calling; her mother, the remarkable Ann Richards, taught her that social justice is a cause worth fighting for. And Cecile has dedicated her abilities to progressive causes. How the magazine can ignore the plight of the slaughter of the innocents while claiming Cecile is fighting for social justice, remains a mystery. Thank you, Bryan Kemper for reminding us that Social Justice begins in the womb! But Time continues their effusive praise, "Cecile is a tenacious organizer, talented at both inside maneuvering and outside mobilization. She always wins. She leads with diplomacy and makes her case with facts, not hyperbole. That's what I saw when she served as my deputy chief of staff; that's what the nation sees as she leads Planned Parenthood." Of course the stubborn facts unveiled by Live Action revealing PP's cover up of child sexual assault have been airbrushed from her story, along with her organization's founding mother's eugenic and racist past. The eugenics facination of Margaret Sanger led her contemporaries to call her Hitler in a skirt. If we follow that bunny trail back through history we can find the story of another woman who Time Magazine likely never saw fit to have on a list of most influential people. 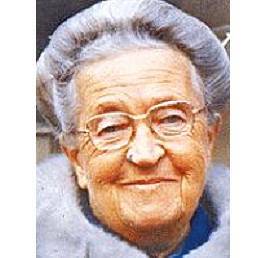 Corrie Ten Boom lived in Harlem Holland during the Nazi reign of terror responsible for the deaths of over a million european Jews. According to some she was a Dutch savior ~ "But she did not only become a pioneer craftswoman. It is possible that she was the first woman to head a resistance movement against the Nazis in her country. When she was 48 years of age, on seeing what was happening in Holland under the national-socialist regime -especially the unrelenting persecution of Jews- she decided that she had to do something about it. She then devised a way to assist them, an idea that met at once with her father’s and brother’s approval. In this manner she could ”resist” the Nazis, but in ”her” particular way, without violence, fully in agreement with her Christian principles and belief." Corrie didn't have tax payer funding, she didn't have polished organizational skills and a fawning media eager to give her access to promote her cause. What she did have was love in her heart for the innocent and a love for the Lord and His chosen people. She came up with an idea, "A hiding place measuring 2.5 m long by 0.70 m wide was built in Corrie’s own bedroom, on the second floor of the building. The entrance was hidden behind a wardrobe and the available space could make room for a maximum of six persons simultaneously, all of whom had to remain in a standing position without making any movement." Like the saints on the front lines of today's modern death camps, like pro-life heroine, Jo Scott, Miss Ten Boom counted the cost and put it all on the line to help her fellow man. And so I invite you to ponder which you would rather be ~ honored by a slick internationally read and influential magazine or, known by the saints and the Lord as a lover of souls, willing to put your life on the line to save the least of these. On this Good Friday, as we reflect upon the sacrifice of Jesus Christ who paid the price for us to be savior of all humanity, may we pray for a moment for those who need him most. God bless all who love the Lamb & protect their innocent neighbors from harm. And, may those who approve of the slaying of precious human beings repent of evil before it is too late. God never dispenses judgment without warning (cf Amos 3:7) It’s called divine mercy. Time Magazine also made Hitler "Man of the Year". But who is more influential in the universe of "Time" magazine writers, Richards or Ten Boom? I submit sadly that it is Richards. Thank you for a well spoken reminder of of whom we must follow and who we must fight. Thanks for a well spoken reminder of whom we must follow, (and who we must fight).